Cheryl K. Olson is an internationally known expert on using media to change behavior (promoting mental and physical health) and effects of electronic media on children. Since relocating from Boston to the Washington, D.C. metro area in late 2009 (and on to the San Francisco Bay Area in fall 2014), she has worked with clients from South Korea to Malta. Dr. Olson was a member of the psychiatry faculty of Harvard Medical School. In 2000, while at Massachusetts General Hospital, she co-founded the HMS Center for Mental Health and Media, an outreach, production and research center devoted to mental health, behavioral health, and healthy child development. She was the sole public health professional among the hundreds of faculty members in that MGH department. While co-director of the Center, Dr. Olson conceived and led a groundbreaking two-year, $1.5 million research project to study teens and video/computer games, funded by the Office of Juvenile Justice and Delinquency Prevention. With her husband, Dr. Larry Kutner, she turned that research into a book called Grand Theft Childhood: The Surprising Truth About Violent Video Games, and What Parents Can Do (Simon & Schuster, 2008 and 2011). The book received widespread international attention. Dr. Olson has been interviewed by dozens of TV, radio and print reporters, from CNN to Colombian National Radio to the Sydney Morning Herald. To date, the book has been translated into Japanese, Korean and Lithuanian. 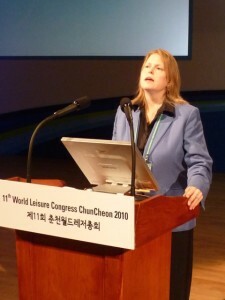 Her invited op-ed on video games, youth and policy appeared in The New York Times in 2011. She received the 2011 F.R.O.G. Award, recognizing “exceptional contribution” to research and education, at the annual Future and Reality of Gaming Conference, sponsored by the Austrian Federal Ministry of Economy, Family and Youth and the City of Vienna. She was also co-investigator for a $1 million grant from the National Institute on Drug Abuse, creating multimedia content for the Brainlink project. Its goal was to increase public interest in and understanding of science, stimulate interest in science careers, and help journalists become more discerning and effective reporters of research findings. Dr. Olson worked in Switzerland as a global strategic communications consultant for Hoffmann-La Roche, focusing on patient and professional education. This included developing weight-loss strategies to support the effectiveness of Xenical, managing Accutane issues related to pregnancy prevention and suicide fears, and consulting on improved labeling and patient compliance. As a health communication entrepreneur, she has served as a consultant to nonprofit organizations throughout the United States and Europe, such as the Public Health Institute (California), Interpharma (Switzerland), the American Council on Science and Health (New York), MADD (Texas) and Education Development Center (Massachusetts). Her corporate consulting clients have included VTech (a 10-city television media tour) and Philip Morris USA (content development, interviews and writing/editing for the QuitAssist smoking cessation guidebook and website, and the Parent Resource Center website). She recently produced a set of Web-based videos to help parents manage their children’s media use, to be distributed internationally by Activision|Blizzard. Dr. Olson has ghostwritten and co-authored best-selling celebrity health and nutrition books, and edited popular books on child development and healthy aging for women. She wrote a regular column about adolescent issues for Parents magazine. She won two CINE Golden Eagles for her documentary productions to educate and motivate high school teachers regarding teen depression and suicide prevention. Dr. Olson received her undergraduate degree in communications and her master’s degree in community health education from the University of Minnesota. She holds a Doctor of Science degree in health and social behavior from the Harvard School of Public Health, and a postdoctoral European Certificate in Pharmaceutical Medicine from the University of Basel (Switzerland).